The good news is you can keep on dancing! All dancers require RSCDS membership. See our Branch Membership page under the “About Us” tab. This year the Wednesday night class will review not only dances for upcoming socials, but will also offer a few special nights! Stay tuned for the Fall Class Schedule or check the Calendar of Events for themes for our Wednesday Night at the Centre. 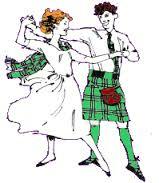 These classes are open to all dancers who are familiar with the steps and basic formations of Scottish Country Dancing. To share the fun and introduce our teachers to everyone, different teachers are scheduled for each evening. See the Events Calendar for more details on individual classes! 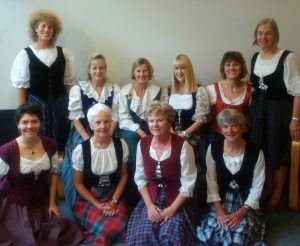 Scottish Ladies Step Dance is an energetic dance form with an emphasis on accuracy of foot positions and timing.Participants should have some previous dance experience at an intermediate level or higher. STAY TUNED FOR NEWS OF MORE CLASSES! perform at the Branch 2019 Burns Supper. as part of the 2016 Canada Korea Literary Festival.